Kenneth Nugent will be providing Malcolm Mitchell's book "The Magician's Hat" to all 1st graders in Albany and Valdosta Georgia, during their Book Reading Event at area Elementary Schools in South GA. I have been an avid reader all my life and a collector of books. I am proud to have “The Magician’s Hat” in my library and support the #ReadWithMalcolm youth literacy campaign,” Nugent explained. When Malcolm Mitchell picks up a book these days, it’s likely to be “The Magician’s Hat”. Thanks to a donation by Atlanta attorney Ken Nugent, the University of Georgia graduate will be gifting his book to all first graders in Albany/Dougherty County and Valdosta/Lowndes County on Friday, March 25 when the two avid readers team up to support youth literacy. Both Mitchell and Nugent will visit Jackson Heights Elementary School in Albany, and Pinevale Elementary School in Valdosta where Malcolm will speak to the students about his personal reading jour-ney, read his book, “The Magician’s Hat”, and answer questions. There will also be photo opportunities with the students as well as a magic show by Magical Mr. McClure. “I am happy to team up with Malcolm and provide his book to all the first graders in Dougherty and Lowndes counties. I have been an avid reader all my life and a collector of books. I am proud to have “The Magician’s Hat” in my library and support the #ReadWithMalcolm youth literacy campaign,” Nugent explained. Mitchell will also be on hand for Valdosta’s Family Fun Day at Val-dosta Middle School on Saturday, March 26 to spread the magic about his book and reading to his hometown. “I’m very thankful to Mr. Nugent and his generous donation that has allowed my book to be given to every first grader in Albany and Val-dosta and for his support to my #readwithmalcolm youth literacy campaign.” Mitchell added. Malcolm is a native of Valdosta, Georgia. He was an Under Armour All-American and one of the most talented athletes in Valdosta High School’s history. Today he is considered one of the top wide receivers in Division 1 football and is in the top-ten all-time receivers in the University of Georgia’s history. Malcolm graduated in December 2015 with a Degree in Communications, and received the All State Good Works National Award for his support of youth literacy. He is currently training for the NFL Draft. While a student at UGA, Malcolm created “Read with Malcolm” whose primary objective is to introduce our youth to the long-term benefits of being an active reader. 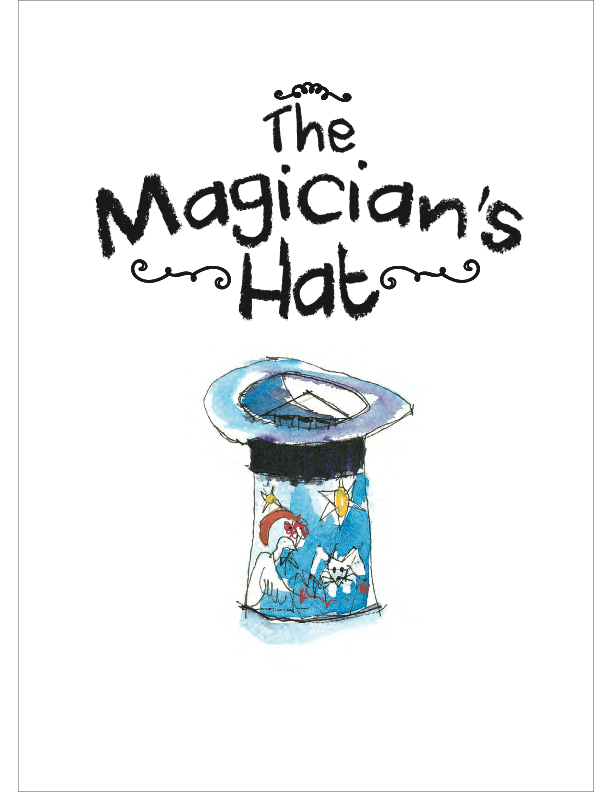 By providing each student with his/her own copy of The Magician’s Hat”, Malcolm is able to not only introduce book ownership to students in households where reading is not a priority, but also improve youth literacy in communities with below grade level reading skills. Book Title: "The Magician's Hat"
Synopsis: David, the magician, loves to perform magic but his favorite trick is not pulling a rabbit out of a hat or finding quarters behind the ears of children. Instead, David knows the magical power of books. One by one he pulls a book out of his hat for the kids and shows them that through reading, anything is possible. If you can read, you can explore your dreams, develop your creativity and achieve your goals.